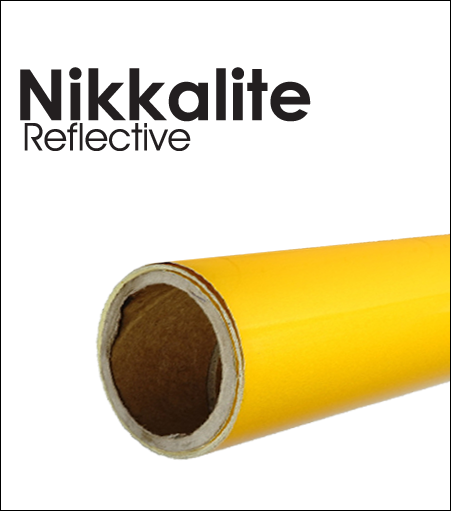 Nikkalite Brand Flexible Engineering Grade (FEG) is a flexible, 5 mil Engineering Grade 7 Year Reflective Film, glass beaded lens retroreflective sheeting that renders retroreflectivity at night. It is designed for use on fleet and vehicle markings where application to riveted and corrugated surfaces may be required. It is also used on commercial signs and various labels and is highly resistant against the extremes of hot, cold, dry and humid weather conditions. Signs or labels faced with Nikkalite Brand Sheeting and transparent colors are attractive in appearance and highly visible during both day and night. The properties given are not for use in specifications.